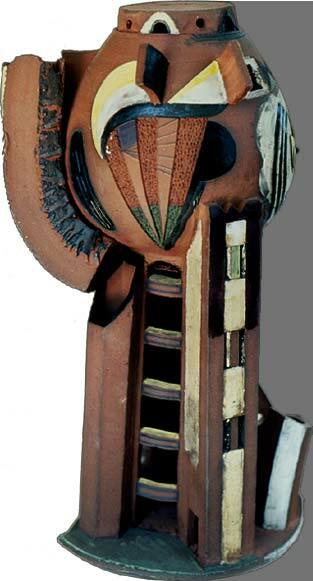 "Industrial Tower", stoneware, 16.5", Halifax, N.S., 1988. 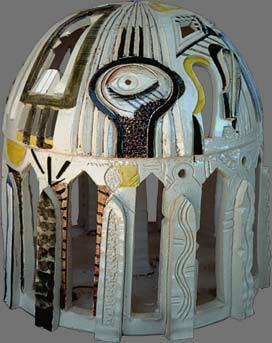 "Parthenon", stoneware, 14", Halifax, N.S., 1988. 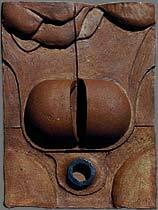 Stoneware wall piece, 12"x17", Edinburgh, 1974.